For Valentine’s Day, I planned a nice dinner for my husband and myself. 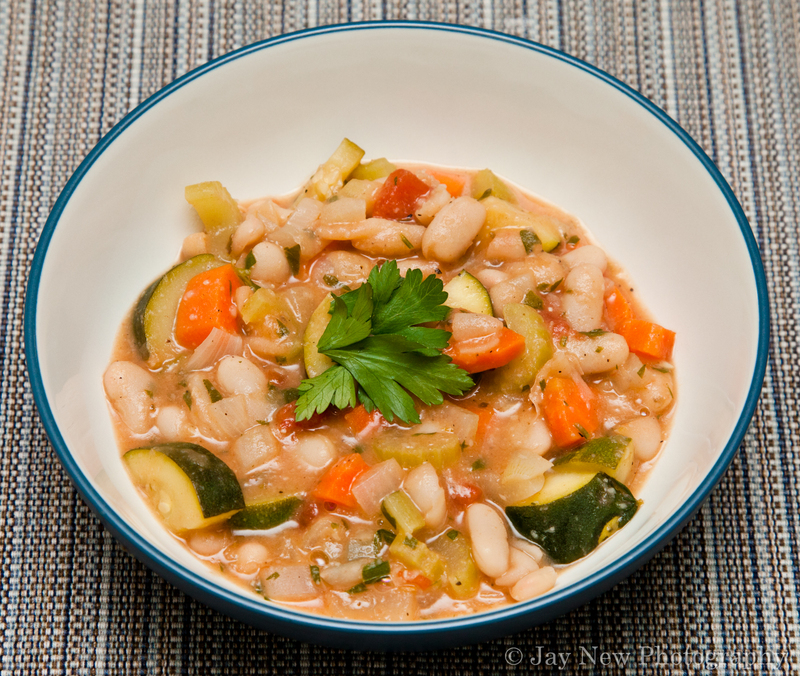 Cannellini Beans, is one of my favorite beans. It has such a warm, nutty flavor. I decided that it would be a perfect accompaniment to the Oven Roasted Lamb Shanks, I was preparing for my Valentine’s Day Dinner. Best part, this recipe is very easy to make, can have many variations (spices, vegetables etc) and is a hearty meal, in itself. Enjoy! Saute onions, carrots, celery and zucchini with olive oil for about 5 minutes. If you wish to thicken the sauce, add some of the sauce from the pot to the cornstarch, stir well and then pour cornstarch into pot. Serve on its own or with your favorite meat.